For many years Jim Sedlak and his battalion have worked tirelessly to end the Planned Parenthood reign of terror. 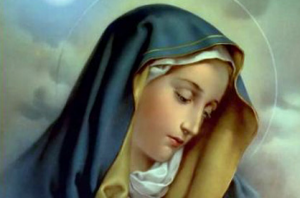 Among the many ways he has led is through his hundreds of talks, his commitment to educating parents, and his devotion to prayer, particularly through the intercession of the Blessed Virgin Mary. And, as they say in the news business, the rest is history. When Jim shared that e-mail with American Life League staff, a unanimous prayer of thanks ascended through the rafters as we all realized, once again, that the real power of the work we do rests never in our hands, but always in the hands of Christ and His mother Mary. Historically, the Bringing Jesus to Planned Parenthood through Mary campaign has had many such victories thanks to the faithful people who have become involved—those who respectfully pray and who carry the placards to Planned Parenthood facilities nationwide. The victories attributed to Our Lady are too numerous to list in this brief commentary, but here is a bit of additional success. In Birmingham, Alabama, this past February a Planned Parenthood surgical facility temporarily shut down. With persistence, this office will close for good. In addition, there have been Planned Parenthood closings in Colorado Springs and LaJunta, Colorado, and Manville, New Jersey. 3) Shining a light on the personhood of the preborn is among Planned Parenthood’s worst nightmares. On-site prayer works! Defunding works! Personhood is key! The three work hand in hand to bring an end to Planned Parenthood. Congratulations to all who put Mary in the lead in this battle against good and evil, against life and death! Some things speak for themselves. Some facts need no explanation. Some miracles happen because of the persistent, consistent witness of those who have taken the task seriously. Bringing Jesus to Planned Parenthood through Mary is a campaign worthy of anyone’s time. Through prayer, silent witness, and sacrifice, God can and does work miracles. Join American Life League’s campaign today. Save lives! Save souls!